Los Cerros was the first development area for tourism in Sosua: the richest families of Santiago built their villas on top of the Los Cerros at the end of the seventies, early eighties, before the international tourism boom of Sosua, these early comers choosed the hill with the best view of the bay for their villas and they named the hill "Los Cerros" as one of the most elegant neighbourhood of Santiago. Since all the land was already buoght by these early comers Los Cerros has not experienced additional developments later with no gated communities buing build there. 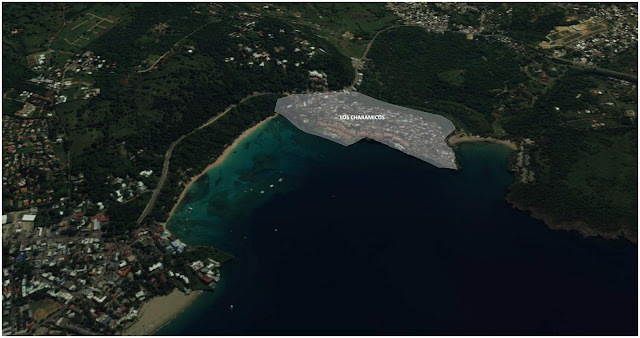 The new real esatte projects needed more land to accomodate the demand for new villas from the new international tourists investing in Sosua and therefore large projects were built elsewhere especially earound the El Batey area in the first phase of Sosua expansion and later more and more far from Playa Sosua. 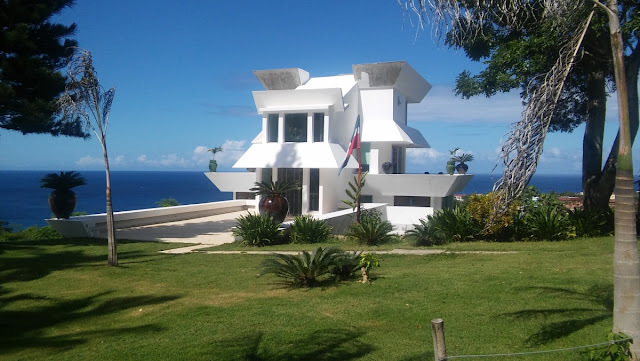 The beautiful villas of Los Cerros are still there, some have been later been bought by Americans, Italians, Canadians and renovated, some are still there waiting to be renovated providing interested buyers with great investment opportunities in the original touristic area of Sosua. The picture below show one of the first luxury villa built in Sosua: it has now been bought and completely renovated by foreign investors. 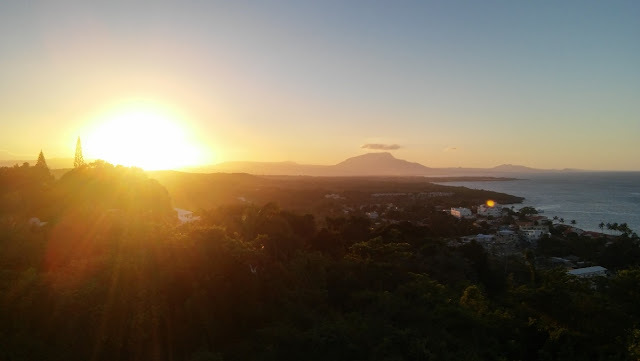 We have an interesting inventory of opportunities in this area and a deep knowledge of Los Cerros with our office being located rigth in this area. The Los Cerros hill has a maximum height of 90 meters with the front line villas with the best ocean views being between 60 and 70 meters above the sea level: the area is favoured by the Trade Winds making it a fresh area to live in. Electricity is guaranteed h24 by Edenorte and high speed internet is available.